So you are ready to get your hands on our awesome magazine? The magazine that takes you there will promise to supply you with a bounty of useful information that will help you plan your next vacation, or simply just supply you with a great read, and keep you up to date with the current news in the Wildlife sector. Don’t delay and order your subscription today via one of these easy platforms. Insert your email address here to receive your free monthly newsletter. 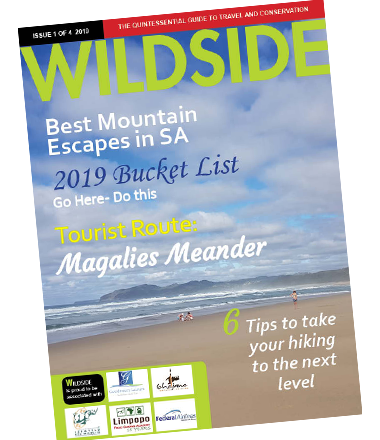 Click to receive your digital copy of the Wildside magazine. Click to receive your hard printed copy of the Wildside magazine.